You deserve a contact lens that can handle your astigmatism and your active lifestyle all month long. Well, we are proud to announce a new product, just for you! 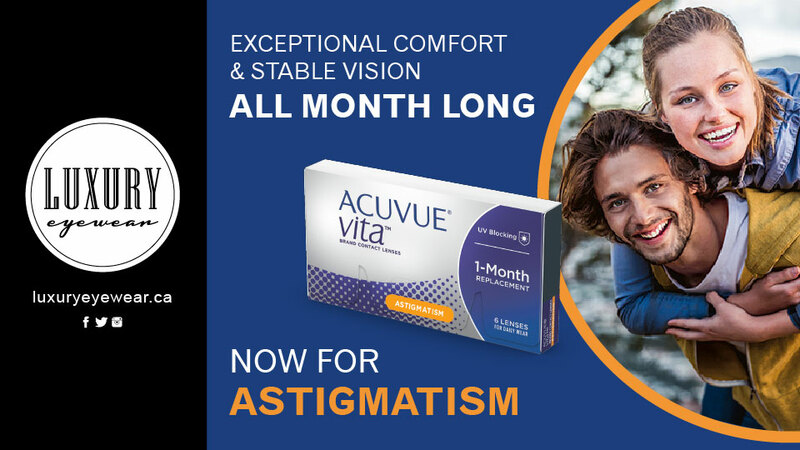 If you are unsatisfied with your current monthly contact lenses, NEW ACUVUE® VITA® Brand for ASTIGMATISM with HydraMaxTM Technology might be the right fit for you. Visit any Luxury Eyewear location today to meet with an experienced optician to discuss your vision needs and to be fitted for the right contact lenses for you.